An exchange designed by crypto traders and built by Wall Street engineers. Built with the same technology that powers the world's leading exchanges. Perpetuals contracts for BTC, ETH, XRP, and more, with the underlying as collateral. Secured by engineers coming from the financial and defence industries. 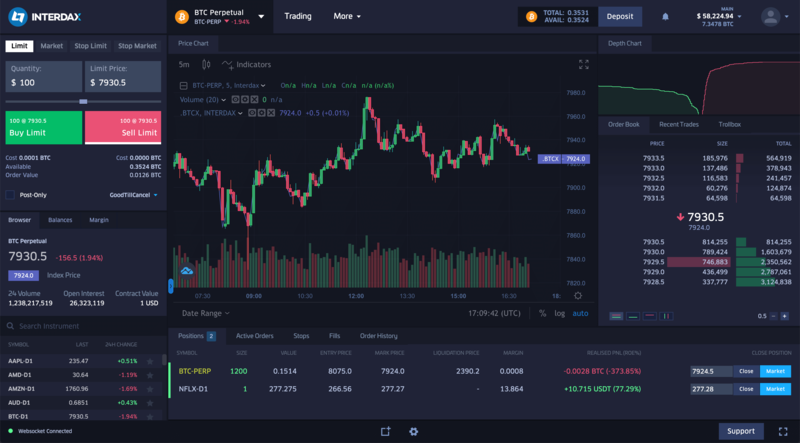 Innovative features long dreamed of by the crypto trading community. REST, Websocket, FIX and HFT-ready Binary APIs ready to ingest millions of trades per second. Interdax is a 3rd generation crypto currency trading platform offering products with up to 100x leverage.